Since 1984 we continue to strive and ensure that each client receives the very best service. We are locally owned and operated. Company services include air conditioning and heating Repair, installation, Compressor replacement and service. Our goal to provide customers with quality products and installations at affordable prices! We service and repair all makes and models. We specialize in and install these brand names American Standard heating and Air conditioning, York, Goodman, Comfortmaker and Rheem equipment. We also offer after hour emergency and holiday services. Free estimates on new Installations. We're proud of our complaint-free record with the Arizona registrar of Contractors. Our attention to detail and same day service response time has made us an Air conditioning and heating favorite in the west valley. Thinking of installing a new Air conditioning or heat pump system? Air conditioning and Heating equipment installations! 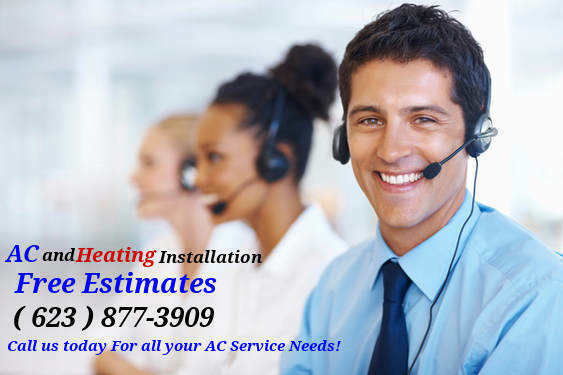 ​Air Conditioning Repair , Air Conditioning Service , HVAC Services , AC Repair , Heating Repair. Serving these AZ cities: Glendale, Peoria, El mirage, Surprise, Sun city, Goodyear, Phoenix, Avondale, Waddell.